Samsung's desire to match the iPhone 7 Plus led it to implement an aggressive design and manufacturing approach that led to problems with its Galaxy Note7 -- including some instances of the smartphones bursting into flames -- and eventually its global recall, Instrumental reported last week. Instrumental engineers tore down a Galaxy Note7, and found "evidence in the design of an intellectual tension between safety and pushing the boundaries," CEO Anna Shedletsky revealed. Samsung engineers "designed out all of the margin in the thickness of the battery," she noted. It "sits within a CNC-machined pocket -- a costly choice likely made to protect it from being poked by other internal components," Shedletsky speculated. "For something that is innovative and new, you design the best tests that you can think of, and validate that the design is OK through that testing," she said. However, battery testing "takes a notoriously long time, and thousands of batteries need to be tested to get significant results," Shedletsky pointed out. "It's possible that Samsung's innovative battery manufacturing process was changing throughout development, and that the newest versions of the batteries weren't tested with he same rigor as the first samples." If the Note7 had not been recalled, "a few years down the road these phones would be slowly pushed apart by mechanical battery swell," she added. A rule of thumb is to leave 10 percent of the depth of the battery pocket as a ceiling above the battery to allow for that expansion, but "our two-month-old unit had no ceiling," said Shedletsky, and "since it breaks such a basic rule, it must have been intentional." It's "impossible to test for everything," said Jim McGregor, principal analyst at Tirias Research. "You have to consider not only testing the battery but also testing applications and the phone," he told TechNewsWorld. Considering how many versions of the Galaxy smartphone Samsung has released and the number of units produced, "this is like comparing the Galaxy Note7 problem to air travel," McGregor remarked. "While crashes make the headlines, air travel is still one of the safest forms of transportation." Limitations in battery technology and increasing demands for new displays, wireless interconnects, sensors and processors in ever-shrinking sizes, the industry is "pushing these technologies to the breaking point," McGregor said. That will be a problem for all handsets and for wearables in the future, he predicted. The IEEE has "known for some time that there were several fundamental limiting factors to personal electronics," observed Michael Jude, a program manager at Stratecast/Frost & Sullivan. They include "power dissipation, power consumption, and power density -- how much juice you can store in a small package," he told TechNewsWorld. Battery technology is tricky, Jude said. "A battery is really a controlled chemical explosion. You can have a little power over a long period of time or a lot all at once. Smartphone designers walk a fine line between power consumption and battery storage density." A smaller battery using standard manufacturing parameters would have solved the swelling and explosion issues, but that "would have reduced the system's battery life below the level of ... the iPhone 7 Plus," Shedletsky noted. "Either way, it's now clear to us that there was no competitive salvageable design." Various iPhone models had battery problems, but they were "all fixed with a replacement battery," said Rob Enderle, principal analyst at the Enderle Group. 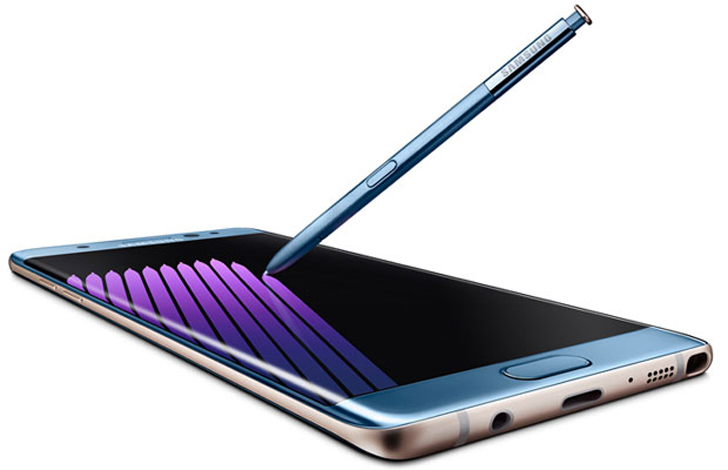 The Galaxy Note7's problems "showcase a failure in design testing that likely resulted from a rush to get it to market to better offset the then-coming iPhone 7 Plus," he told TechNewsWorld. The problem "should have been identified in testing long before it got to QC post-manufacturing," Enderle pointed out, but "unless a test was specifically designed to highlight this problem, QC might not catch it anyway."